If tailgaters are gonna opt for pizza over brats on gameday, it’s not coming out of a cardboard box. It’s coming out of Floor Three of the Aquaforno II, a collapsible, multi-level grilling, braising and cooking device extraordinaire. 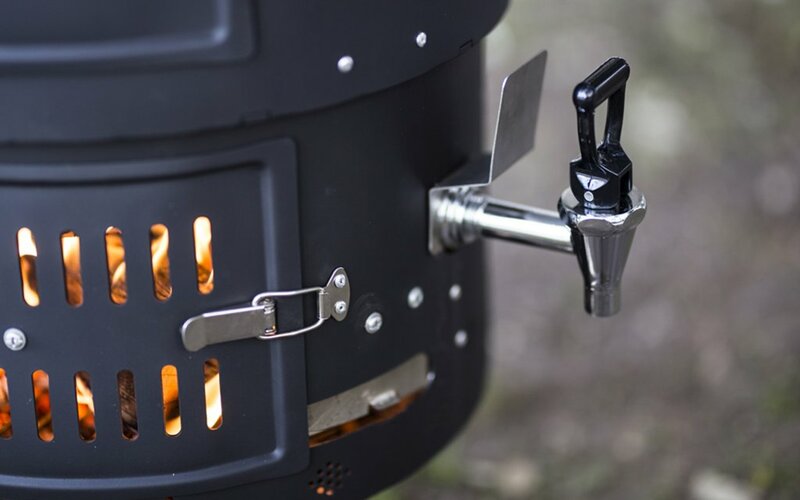 What makes the Aquaforno II better than your average portable grill is its utilization of a unique telescopic design for quick assembly/disassembly and culinary multitasking. 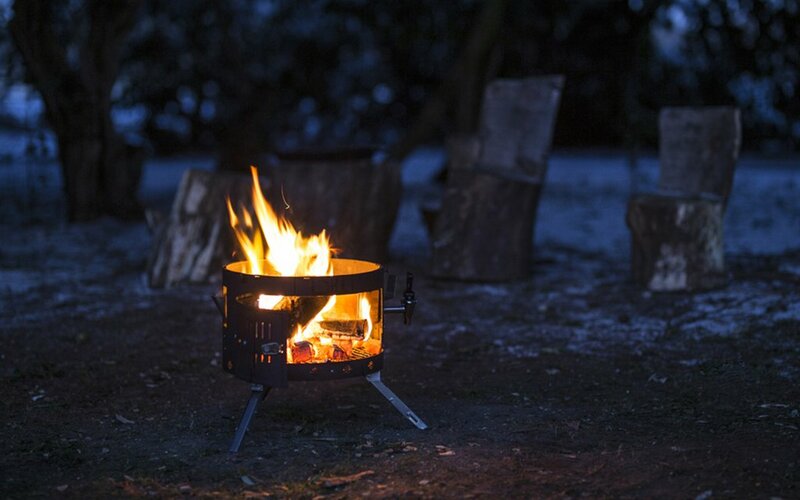 The base (which can burn on wood, peat, charcoal or gas) keeps each level above warm and ready for action. Those levels? A BBQ grill, smoker/rotisserie and — yes — an oven with a cordierite pizza stone, so you can pair a slice of fresh pepperoni with that rack of ribs you’re whipping up down below. It’s not a bad option for camping, either. The parts might seem clunky, but the whole system packs down easy and comes with a handy carrying case. And, just for kicks, the Aquaforno also has an internal water boiler for mulling wine or heating up your morning Joe. As always with crowdfunded projects: the sooner you buy, the less you pay. If you act now, expect yours to ship this July, and find more info here.